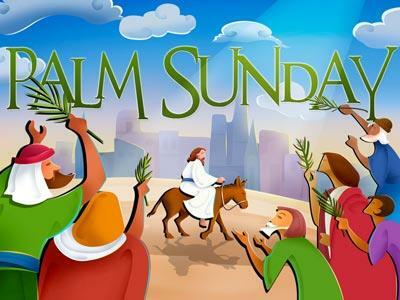 Summary: This message follows the events surrounding the triumphant entry of Jesus into Jerusalem on Palm Sunday. 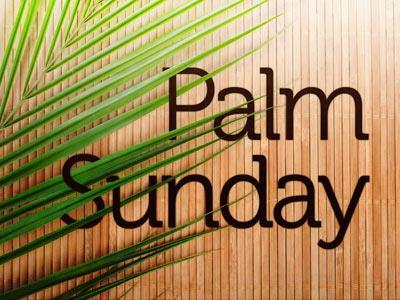 INTRODUCTION: Today is the Sunday before Resurrection Day, which we call “Palm Sunday”. It’s also known as the “Triumphant Entry Of Christ”. It is believed that Jesus actually entered Jerusalem on 3 different occasions … on Saturday, Sunday, and again on Monday. 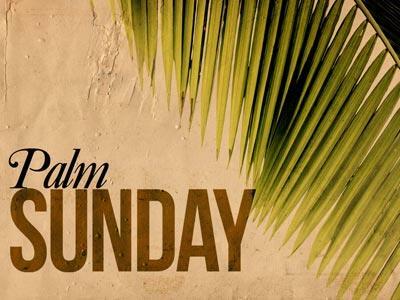 Let’s take a look at what took place on “Palm Sunday”. 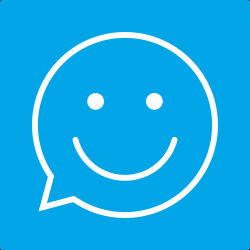 19:28 – “thus spoken” – Jesus had come from Jericho (about 19 miles away), where he healed Blind Bartimeus, and spoke to Zaccheus. He had just spoken the parable of the 10 pounds, an d was on His way to Jerusalem. “Bethphage” was the adjacent village to Bethany. Jesus sends 2 of His Disciples to Bethphage on a mission. 19:30 – Jesus wanted to ride into Jerusalem on a donkey. This was UNUSUAL for Jesus. We always find Him WALKING … never riding an animal. WHY A DONKEY? There weren’t many HORSES in that area. Only the rich and the nobility rode horses. Horses were associated with WAR. When the conquering King came into a city after a conquest, he would ride on a horse. BUT … when the King came into a city riding on a donkey, it was a symbol of PEACE. WHY A WILD DONKEY? He specifically asked for a colt that had never been ridden before … not broken for riding. WHY? PERHAPS, it is to show the submission of an unbroken animal to the Master. Jesus could tame a wild animal … BUT … the stubborn hearts of the Jews would not be broken. They wouldn’t submit to Him in their hearts as their King. 19:31 – Jesus didn’t own a donkey … He had to borrow one. The only material goods that He owned and He left behind, were the clothes on His back. AND … the soldiers gambled for them when they crucified Him. Jesus didn’t attach Himself to this world. We’re just pilgrims here … sojourners … passing through. We shouldn’t let the world have such a grasp on us … AND … we shouldn’t have such a grasp on this world … THAT … we have more treasure here than in Heaven. Corrie Ten Boom once said that the problem with grasping the things of this world too tightly, is that, when God has to pry our hands loose, it hurts! 19:33 – When they got to Bethphage, they saw the donkey & colt, just like Jesus said. The owners of the donkey & colt saw the 2 men untying the 2 animals, and, naturally, asked what they were doing. For all they knew, they were trying to steal the animals. 19:34 – When they said this, the owners knew that it was Jesus who had sent them to get the animals. Apparently, they believed in Jesus as their Messiah, and were glad to offer them to Him. In reality, everything belongs to Jesus, anyway! It was Jesus, who spoke, and the worlds were created … and everything in it. We are but stewards of all that God has allowed us to keep for Him. Everything we have is to be put to the Master’s use. It’s arrogant to refuse Jesus what is rightfully His in the first place. We shouldn’t be so covetous of our earthly wealth … and withhold it from Jesus. 19:35-36 – The 2 Disciples put their coats on the young colt, for Jesus to use as a saddle. WHY IS THIS IMPORTANT TO MENTION? In Old Testament times, to show their respect to a King, people would put their clothes down for the King to walk on them. The people did this when Jehu was anointed the new King of Israel. 2 Kings 9:12-13 - ’Thus says the Lord, "I have anointed you king over Israel." Then they hurried and each man took his garment and placed it under him on the bare steps, and blew the trumpet, saying, "Jehu is king!"